Cooking with your kids is one of the best activities for bonding and learning. 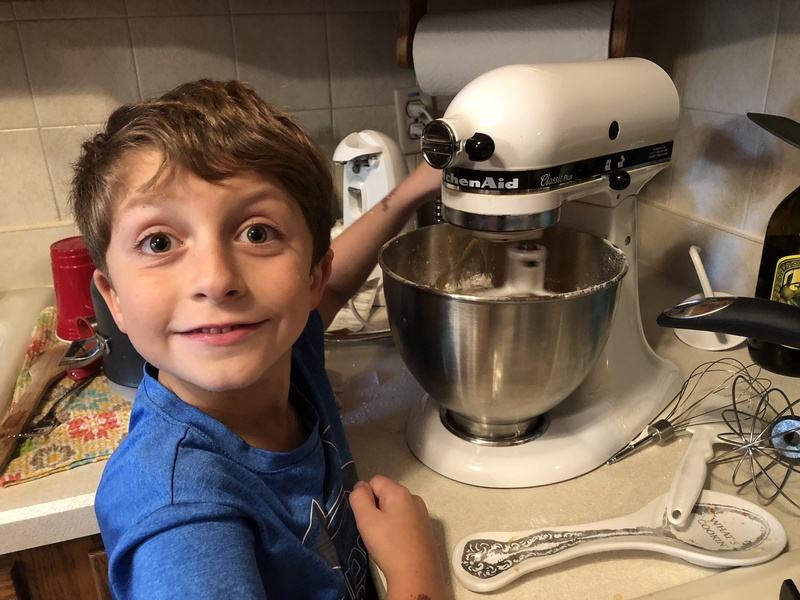 Not only is cooking together a fun way to connect, but it’s also an excellent way to teach food safety and nutrition, build motor skills, and bolster foundational math, science, and literacy. Whether baking is your weekly Saturday morning activity or you’re looking for a way to keep your kids occupied over long holiday breaks, consider these tips for a fun — and safe — cooking experience! 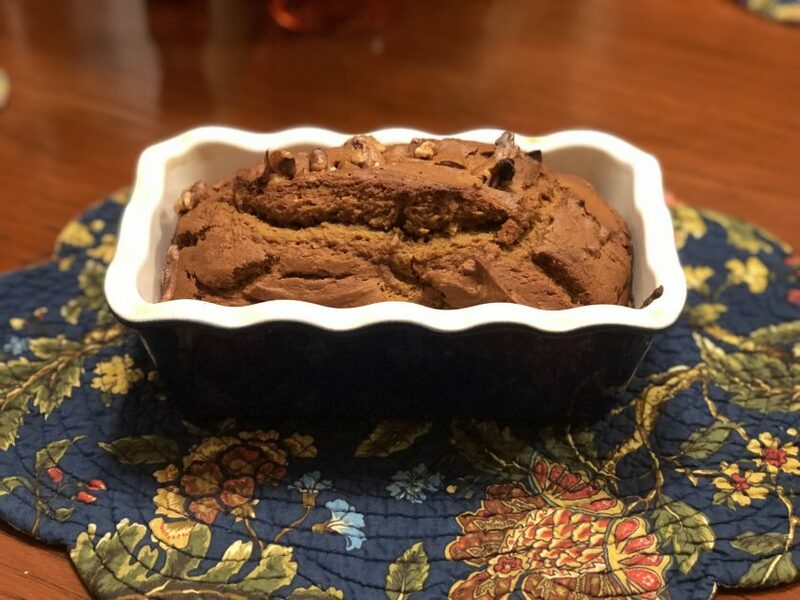 Take a look at this delicious pumpkin bread recipe that owner Valentina made in her preschool when she was younger and became a family seasonal recipe. Valentina cooked a lot with her mother growing up and loves to cook with her children now. 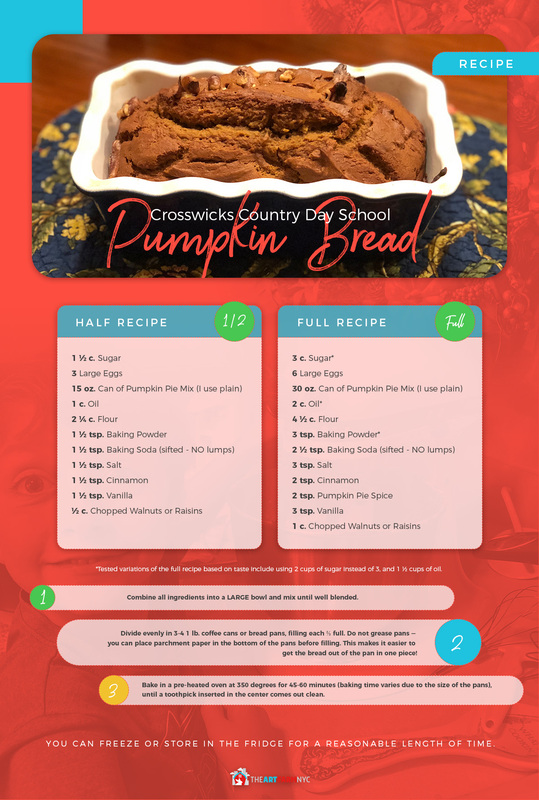 Carter, her 6-year-old son, has a strong interest in cooking and cooked this family pumpkin bread recipe. The family enjoyed eating it and it was a fun activity for them to do together. Continue reading to see how kids of different age groups can help with the recipe! Even if your child has been scrambling eggs since they could walk, there’s always a benefit to teaching and reviewing food safety basics. Going over food safety ensures that you’ll have a yummy treat to eat, and it teaches life-long skills that your kid can take with them through college dorm cooking, owning their own home, and eventually cooking Thanksgiving for the entire family! For older children, have them lead a sample cooking class! Put them in charge and allow them to think of creative ways to teach these rules to you, their student. By engaging these creative muscles and teaching the rules themselves, older children are more likely to remember and practice food safety. No matter the age of the child, all kids can benefit from learning about food safety. When it comes to activities in the kitchen, however, you’ll want to differentiate based on age. 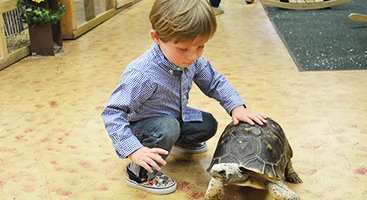 Check out these age-appropriate tips from The Art Farm NYC before your next cooking experience. Ages 2 and up can benefit from cooking classes for kids! Cooking with young children is an incredible way to build a lifelong passion for food and cooking, but it takes some supervision. While young ones love to help out and get their hands dirty, you should focus more on the importance of cleanliness with this age group. This age group needs a lot of supervision in the kitchen, but cooking is one of the best ways to get those developing motor skills going. With this age group, you can have kids help with more labor-intensive tasks. While 6- and 7-year-olds have more developed fine motor skills, they’ll still need reminders when it comes to food safety. In this age range, maturity levels differ greatly. Because this age group has developed fine motor skills and general literacy, you should be the judge of each child’s level. At this age, kids understand food safety enough to practice it! Give them opportunities to refrigerate ingredients, work with raw vs. cooked food, and to disinfect cooking surfaces. By this age, children with basic kitchen knowledge can cook with limited supervision. 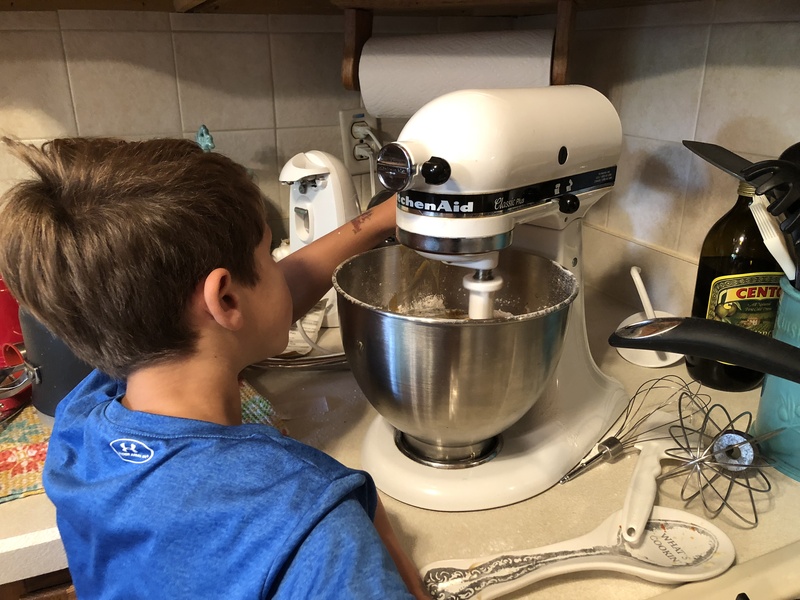 Let kids in this age group take the reigns by gathering ingredients, following recipes, turning on ovens and stoves, and doing the actual cooking (again, with supervision). 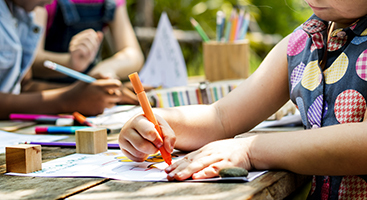 Whether your child aspires to be Ina Garten or you’re looking for a fun way to enrich their schedule, cooking classes for kids at The Art Farm NYC are a great place to start. Our Farm Foods Cooking Class, for example, is an afterschool program for children aged 2 through 8. Kids learn the importance of food safety, practice kitchen basics, and cook seasonal and nutritious dishes. 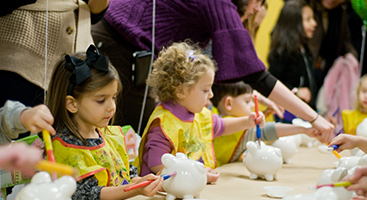 Foster your child’s creativity and love of cooking — sign up for classes for kids today at The Art Farm NYC!